But I’m good to go through my contract with Childress, and my determination is to win races and try to win that other championship. I don’t want to argue with my wife about her car – or my driving. I woke up this morning, and I still don’t believe I won the Daytona 500. If we’re going to run for points we need to run in the top-five every week. I’ve got to win every race. It’s just really hard to work and get better, building and planning for the future with the new Monte Carlo and keeping the race team intact and keeping them healthy. I’ve had confidence in myself all along. It was just a matter of getting the pieces back in place. If I was 30th in points and not making races and not being competitive in races, I could understand them saying I’m over-the-hill or I’m ready to quit or whatever. 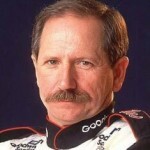 Ralph Dale Earnhardt better known as Dale Earnhardt was born in Kannapolis, North Carolina. He was an American race car driver and team owner, best known for his involvement in stock car racing for NASCAR. He began his career in 1975 in the World 600 at Charlotte Motor Speedway as part of the Winston Cup Series. Considered one of the best NASCAR drivers of all time, Earnhardt won a total of 76 Winston Cup races over the course of his career, including one Daytona 500 victory in 1998.